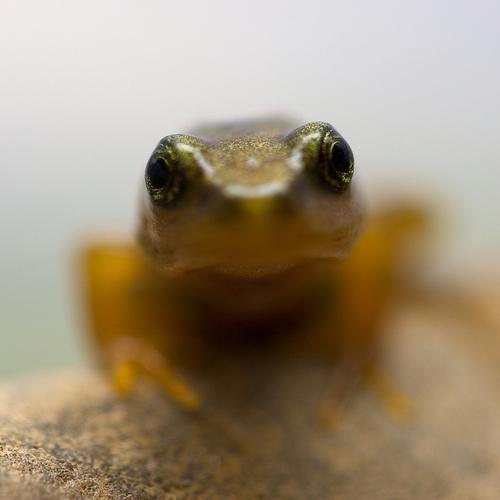 In which I discover that a tadpole is also called a polliwog, pollywog or porwigle. Some weeks ago a friend brought us some tadpoles back from the highlands because she thought we would be interested in seeing them transform into frogs. 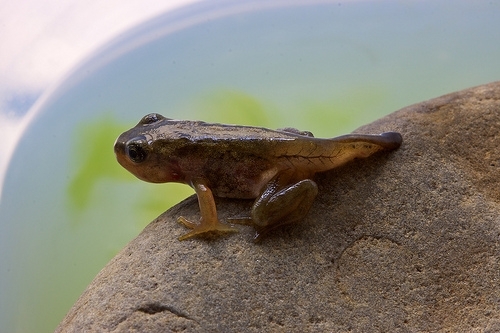 I was ambivalent about the experiment at first, with reservations about that initial act of taking a wild animal (however simple and benign it may seem) from its natural habitat but the project has turned out to be very interesting and my kids have certainly learned a lot from seeing the tadpoles develop. I remember doing this kind of thing myself when I was a child and lived in a more rural setting than the centre of Edinburgh. These days, kids seem to have less opportunity to explore the countryside — not just due to issues around their safety but also the competing demands on their time. Overall this is probably a good thing because, in many ways, their lives are much richer as a result. It has been a long slog since we got the tadpoles back in May with not much happening for long periods. Through some trial and error we’ve found out that tadpoles really love boiled lettuce, cooked for 15 minutes then chopped up into thin strips. The first change we noticed was that the tadpole’s body shape changed, becoming more horizontal. Over the last couple of weeks the process of change has accelerated, starting with the first appearance and development of back legs, followed by the appearance of the front legs.. It has been interesting researching some of the less visible changes such as the development of lungs and the change from a herbivorous to carnivorous diet. We’ve found in this last stage that it is important that the newly developed frog can easily get out of the water as they are now mostly land dwelling, with only occasional forays into the water. Now we’re just waiting for the tail to be absorbed before we release them back into the wild. They’ll be missed.